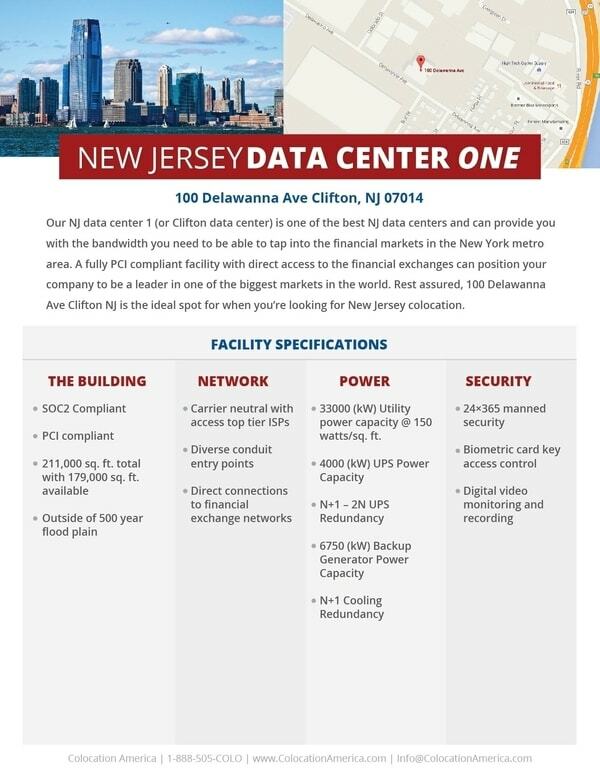 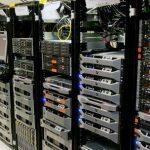 Located outside of the New York metro area, Colocation America’s New Jersey data centers provide ideal locations for optimal connections to the financial exchanges that power our world markets. 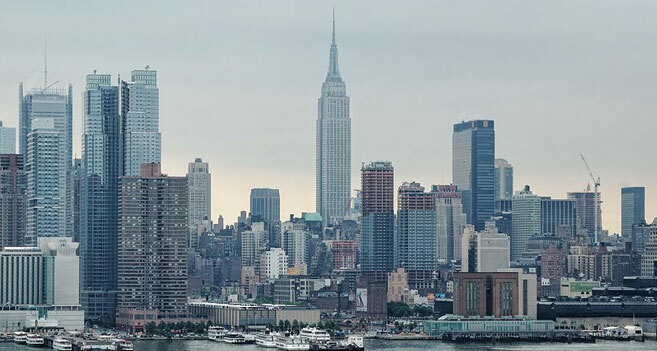 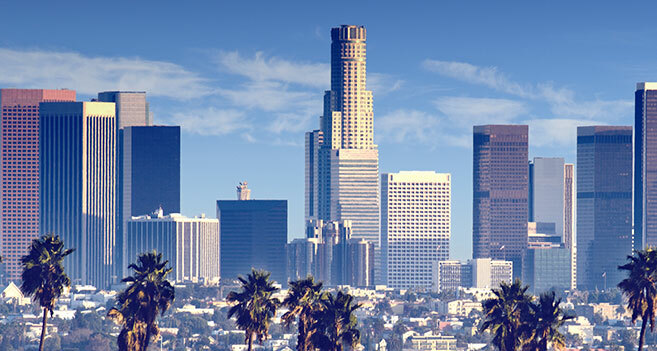 With top tier connectivity and bandwidth from carrier neutral facilities, you can rest assured your data will be available and ready at all times, letting you stay on par with the “City that never sleeps”. 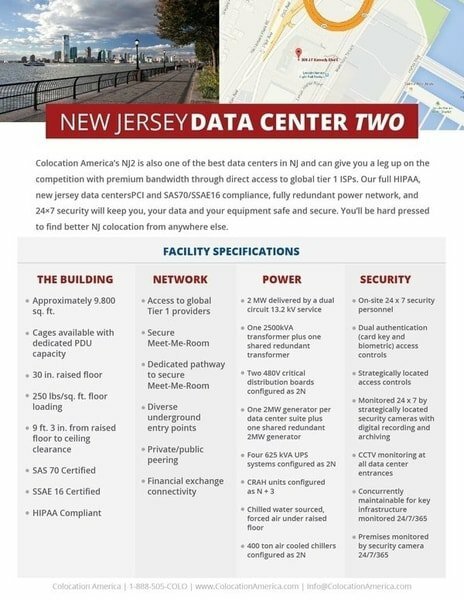 Just like our other 22 locations around the country: we’re not only Colocation America—we’re Colocation New Jersey!